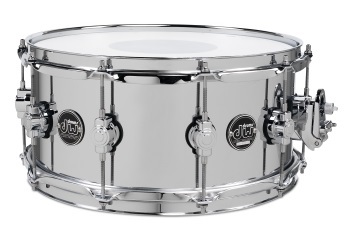 With a thin 1mm rolled shell and sleek, beadless look, this drum is an all-around jack-of-all-trades. It has some of the ping of brass, but with a decidedly more metallic quality with no unwanted overtones, just plenty of cut and crack. Performance Series steel snare drums possess incredible volume and sensitivity.